Made in America, this solid cherry nightstand can effortlessly transform a space, bringing artisanal quality into your home. 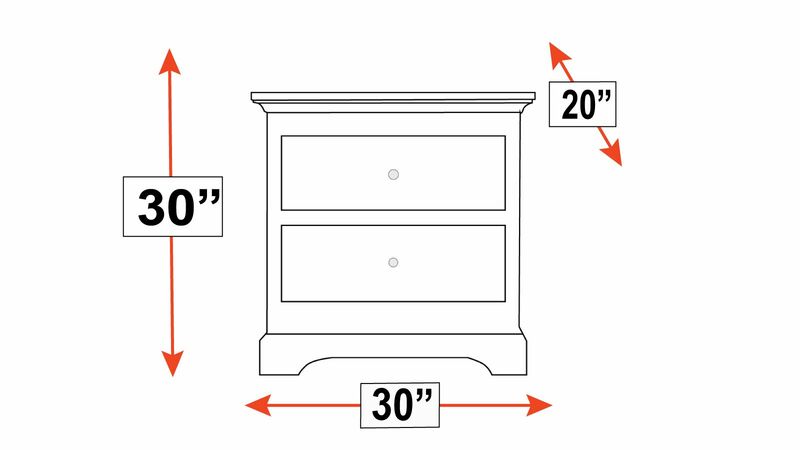 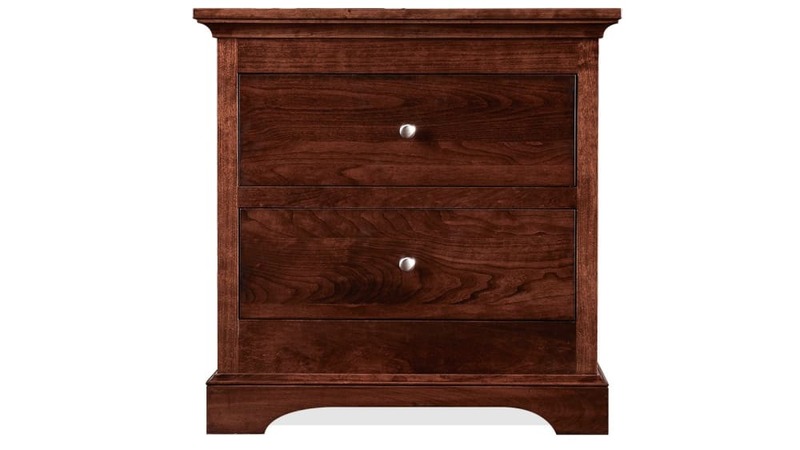 With Gallery Furniture's same-day delivery, you can start enjoying this nightstand in your home TODAY! 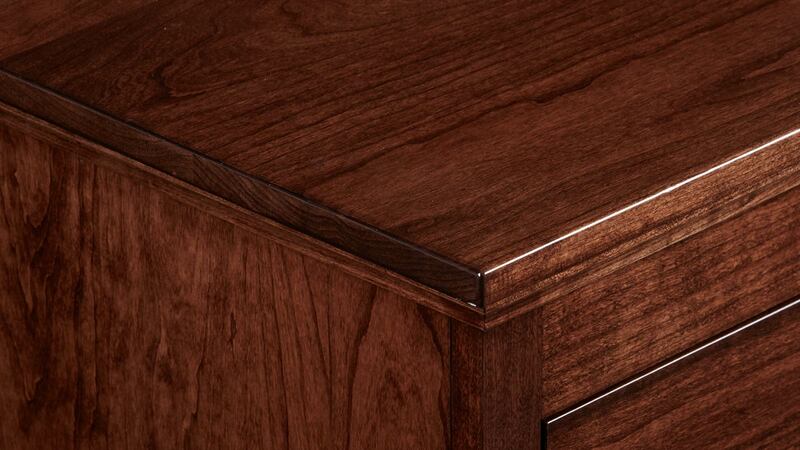 This solid cherry wood nightstand was Made in America by master American craftsmen. 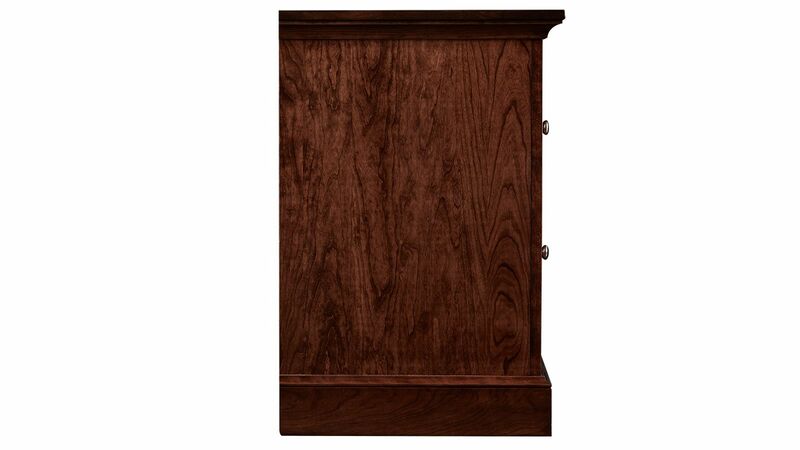 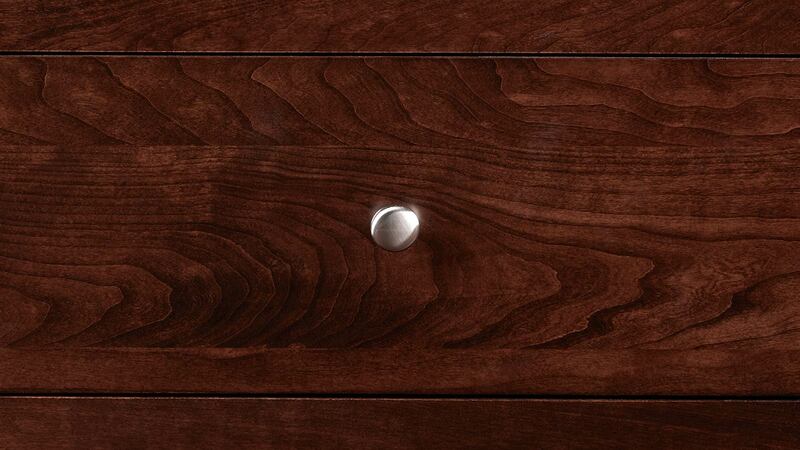 An Asbury stain showcases the natural beauty of the solid cherry wood grain. 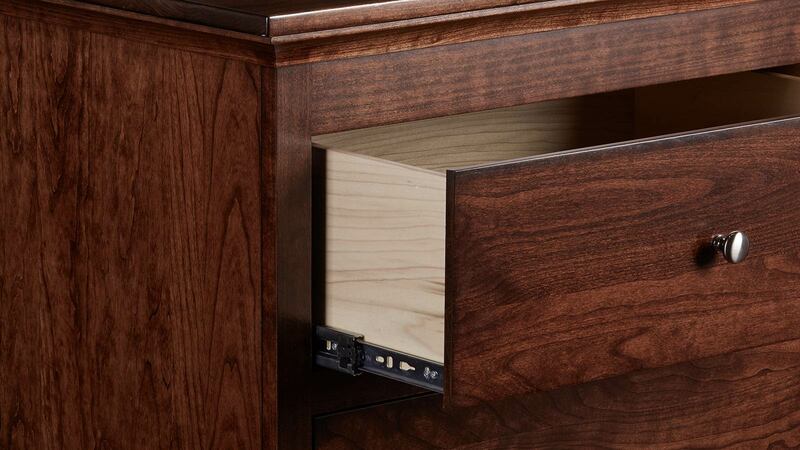 Two fully finished, solid maple, dovetailed drawers, set on full-extension, ball-bearing slides, keep all your essentials within reach. All drawers are finished on five sides and have high-quality, heavy metal drawer pulls, finished in shiny pewter, to beautifully accent and contrast the rich, dark wood.